It’s my favorite season of the year. 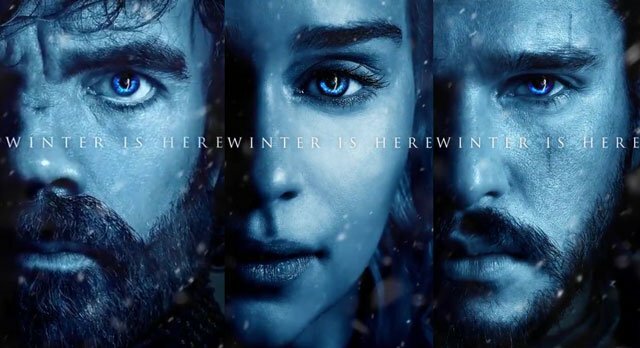 No, not summer—it’s Game of Thrones season! The best show on TV has returned, and with only two seasons left, how is this one going to look? Will there be more death than before? Will unlikely alliances be built? Will others be broken? I think season 7’s first episode set the tone enough to make at least a few predictions about some of the main characters. Shall we begin? Season 6 ended with Jon Snow (Kit Harrington) being proclaimed the King of the North rather than Sansa (Sophie Turner), an actual Stark. It was hinted that there was a little jealosy or animosity between the “siblings,” which was, of course, brought to light by Littlefinger (Aiden Gillan). These contradicting feelings was only increased in the season premiere when Sansa openly questioned Jon in front of his followers. The two seemingly were able to hash things out without much of an argument, but Littlefinger, again, put his two cents into the situation. To her credit, Sansa dismissed him, though she admitted to being in his debt over his help in the Battle of the Bastards. She is also, of course, angry over Littlefinger facilitating her marriage the abusive Ramsey Bolton, but something keeps her tied to him. I predict some form of pulling away between Jon and Sansa this season. Whether it is full-on betrayal or just a undermining, something will happen and Littlefinger will be involved. I could see Littlefinger talking Sansa into usurping Jon and then pursuing Sansa as his bride, but the question is would she allow such things? It is also possible Sansa would have Lady Brienne kill Littlefinger by the end of the season. Game of Thrones does love its death toll. Arya (Maisie Williams) has quickly become the most interesting character on the show. Last season saw her leaving her training in Braavos, reclaiming her identity as a Stark, and getting revenge on Walder Frey for his murder of her brother and mother. In the first episode of this season, she wiped out the Frey house with poisoned wine, declaring that winter had come for them. The last we saw her, she was eating and drinking with some friendly soldiers on her way to King’s Landing with intent to kill Queen Cersei (Lena Headey). I predict that whoever these soldiers are, they will sideline Arya’s plans for Cersei. I cannot see this as a positive thing—deep down, I feel the show runners are trying to give Arya a love interest, but Arya has better things to do. I could also see her joining up in hopes of getting the other names on her list. I feel something sinister is at work; I just cannot see what. I heard a rumor Arya may not have long to live, but I refuse to believe that, at least in this season. However, know the road she is on, and a near-death experience is absolutely possible. Perhaps the Hound (Rory McCann) will run into her and want revenge for leaving him to die. Last season marked Cersei becoming queen after the death of the many of those she saw as enemies by way of her wildfire explosion as well as the suicide of her son, King Tommen. I foresee Cersei losing her way in her quest to destroy all those who oppose her (most notably Jon Snow and Daenerys and their armies). As part of that, I see Jaime (Nikolaj Coster-Waldau) losing faith as well as love for his sister and lover in her attempts to destroy enemies and never truly acknowledging the death of their last child. This is highly hinted at in the first episode of the new season. I can predict Jaime betraying Cersei in some major way this season, though he may see it as saving her soul. At the end of last season, this group united with Yara and Theon Greyjoy and the Tyrell matriarch, Olenna (Diana Rigg). They have since arrived in Westeros at Dragonstone, once home of the Targaryens. I predict Daenerys (Emilia Clarke) will set up shop in her ancestral home and plan her attack, possibly against Euron Greyjoy (Pilou Asbaek), as he once said he’d enjoy her . . . company. It’s hard to say where she will make her move, and it is possible she may let others come to her. However, I feel as though Daenarys is due for a loss. The most likely would be Grey Worm (Jacob Anderson) or Missandei (Natalie Emmanuel)—not just because it would devastate Daenerys, but because the two seem to be in love and yet can’t consummate their relationship, and it would just make some sort of poetic sense. So what do you think will be coming in season 7?